Are you planning a Hen or Stag (bachelor or bachelorette) party in Ibiza? What about the birthday party of your best friend? Or maybe you´re just heading to the White Island with a big group of friends? Let Oceanbeat Ibiza be an essential part of your trip! Depending on the size of your group we’ll be able to give you a discount. So make sure to get as many people as possible to enjoy the best price! Do you know all the secrets of this island? Our Ibiza experts are eager to help you make the most out of your trip! You´ll have access to our special partner discounts (rent-a-car, accommodation, club tickets…) plus access to some of Ibiza’s best kept secrets (hidden beaches, sunset spots and more!). No Ibiza story is complete without a legendary Oceanbeat-style Champagne Shower! We´ll make sure your group gets an even more special one! Stand out from the crowd, rock our very own Oceanbeat T-shirts! 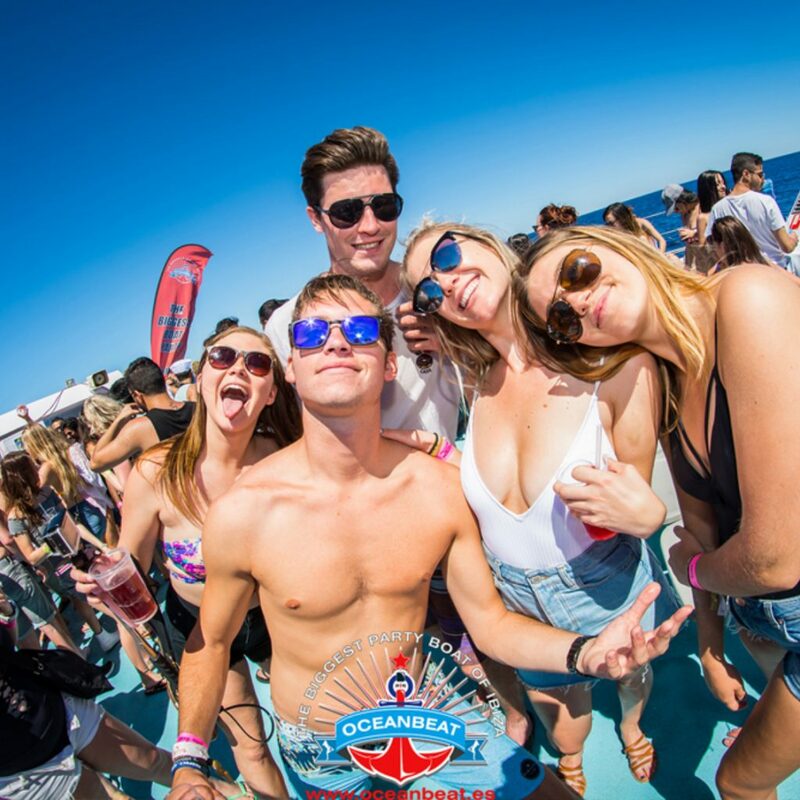 You and your group will be among the first guests to enter our boat and secure the top spots! Drinking before drinking, what else do you need? Contact us via the contact form below and let us know what type of group you are.